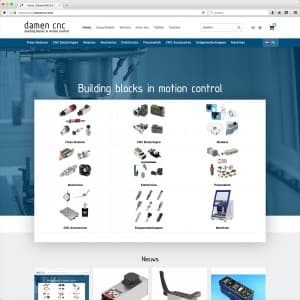 Renewed Website | DamenCNC B.V.
DamenCNC has a renewed website and we are proud of this! We have worked on the website to make it accessible for you. With our assortment of over 4300 products this has been a big task. You can also create a login now. This so you can always look back which articles you have ordered in the past. We hope we have increased the ease of use of our website for you.